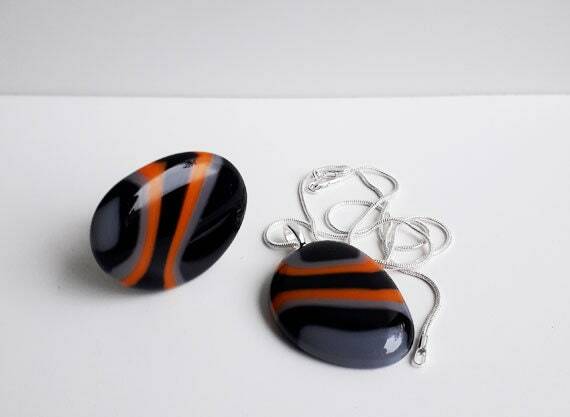 Ring & pendant set - fused glass, in in orange, grey, and black stripes. 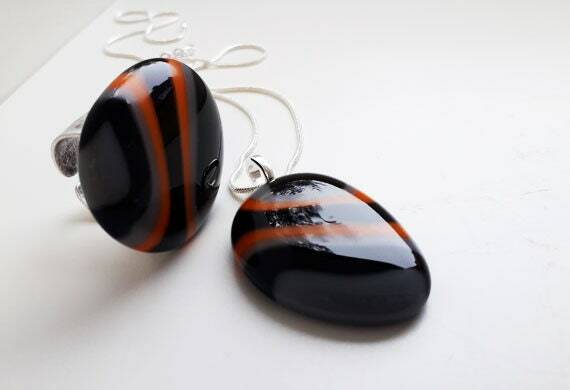 A quite elegant pendant and ring set, made in black, grey and orange fused glass. 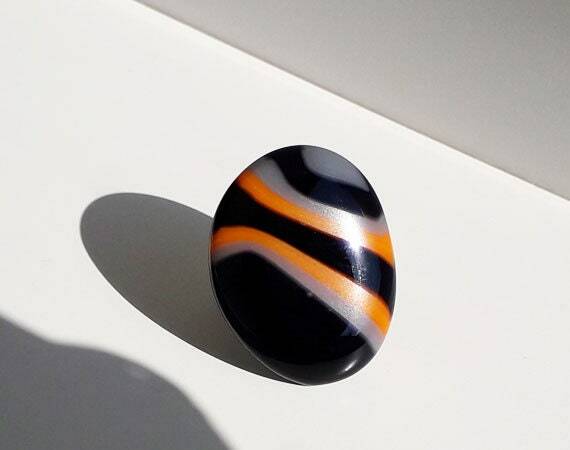 The stripes have a gentle swirl shape that fits the pebble-like shape of each piece, and the colour is subdued with just the touch of orange to add boldness. 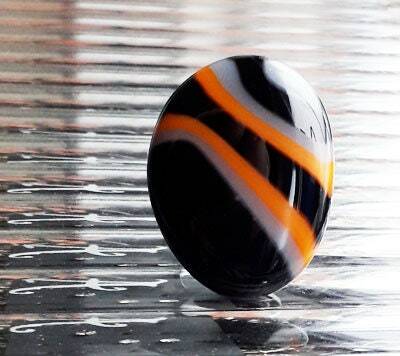 The pendant is 30mm long and 2.5mm across at its widest point. 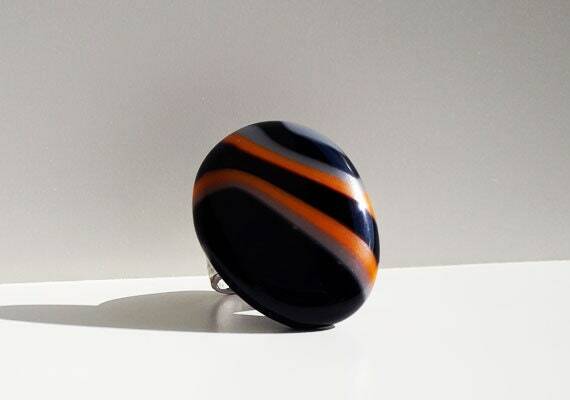 The ring is about 35mm long and 28mm across. 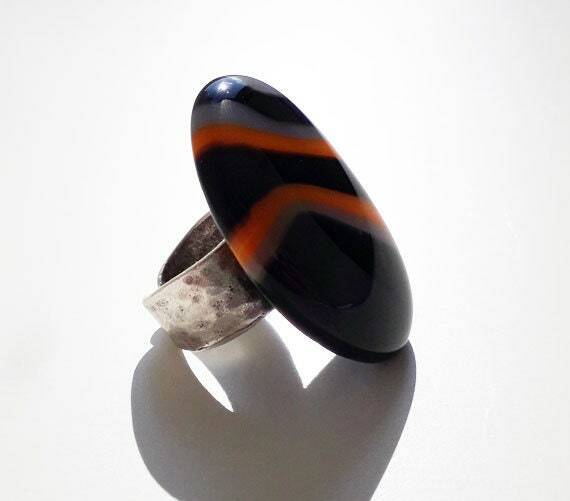 The ring has a wide expandable silver band, ranging from roughly UK size I to M (US size 4 to 6). The pendant hangs from a sterling silver plated leaf bail on an 18" silver snake chain.